Effective cleaning and protection for first teeth. 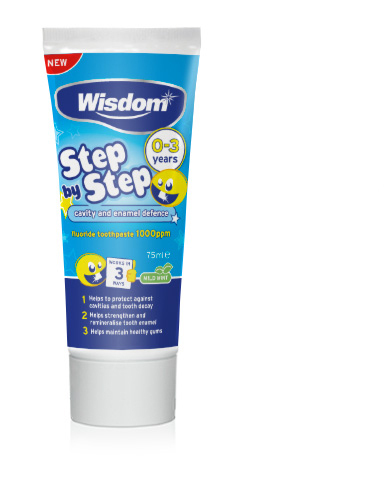 Wisdom Step by Step Cavity and Enamel defence 0-3 toothpaste has been developed to work in three ways to clean and protect first teeth. Use twice daily for maximum protection. Children under 3 years use a smear of toothpaste for supervised brushing to minimise swallowing.Children under 6 years use a pea-sized amount of toothpaste with supervised brushing to minimise swallowing. In case of intake of fluoride from other sources consult a doctor or dentist. 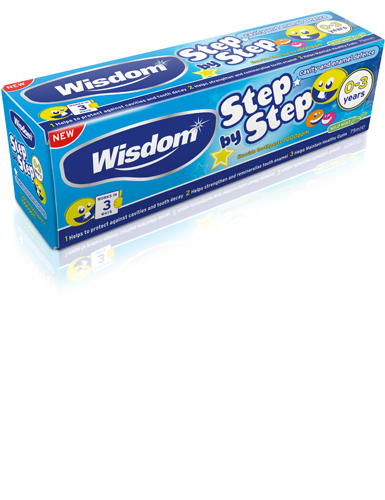 Wisdom Step by Step products help establish good brushing habits.